Custer Hospitality brings a new breed of hospitality to the Black Hills, the wild west, and beyond the herd of bison We are fiercely dedicated to providing you, your family & friends an amazing vacation in our award winning properties Located in the heart of the Black Hills, Custer Hospitality offers the ultimate retreat to escape your daily grind and get back to the things you love. 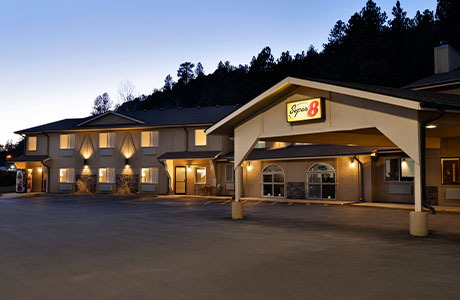 With backyard access to world-class hiking, UTV trails and literally just minutes from Mount Rushmore, Custer State Park, Crazy Horse Memorial, and even more renowned national parks and USA monuments, you’ll gain options a variety of unique camp lodging, award-winning hotels, local theater entertainment and adventure rentals to make your adventure complete. Want to stay in bed all day? Go for it. (It does sound nice.) But trust us, these awesome mountain views will call you to explore the heart of Black Hills. Don’t worry, the fire will be waiting when you return. 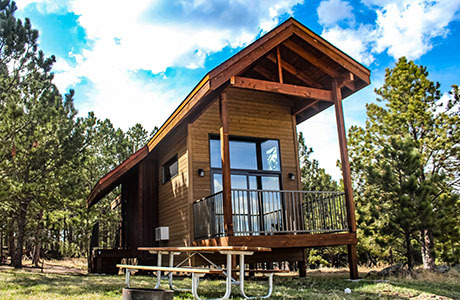 We can’t wait to connect with you, hear your travel stories, and roast some s’mores with your family when you make us your Black Hills basecamp. 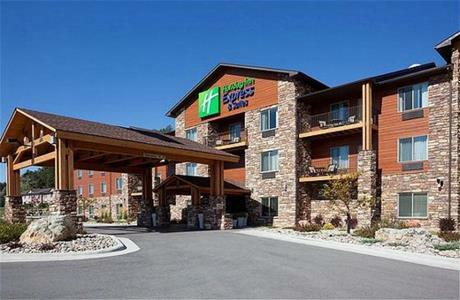 Our properties are where Custer Hospitality begins…. Welcome to a new frontier of lodging. Are you ready to start exploring? 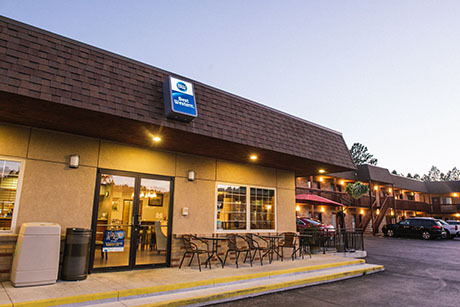 For us at Custer Hospitality, life is at its best when we’re outside. We live for first tracks with friends and relaxing fireside under the stars. We love experiencing new things—new trails, new places, new people. And value having a base camp we can retreat to with all the amenities needed without breaking the bank. That why Custer Hospitality provides an easy solution for travelers looking to plan their trip and book rustic lodgings all at once. 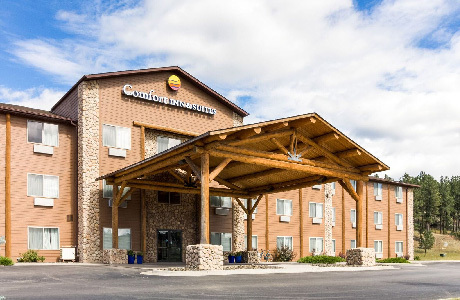 With an added personal touch of warm hospitality, this exceptional group of skilled hoteliers is here to help you organize your trip to Custer, South Dakota. Set against a rugged mountainscape, explore outdoor attractions, delicious local eateries, and bustling local festivals that surround our hotels. We can’t wait to help you get out there and start exploring. Share your #CusterHospitailty moments with us; we can’t wait to see them.